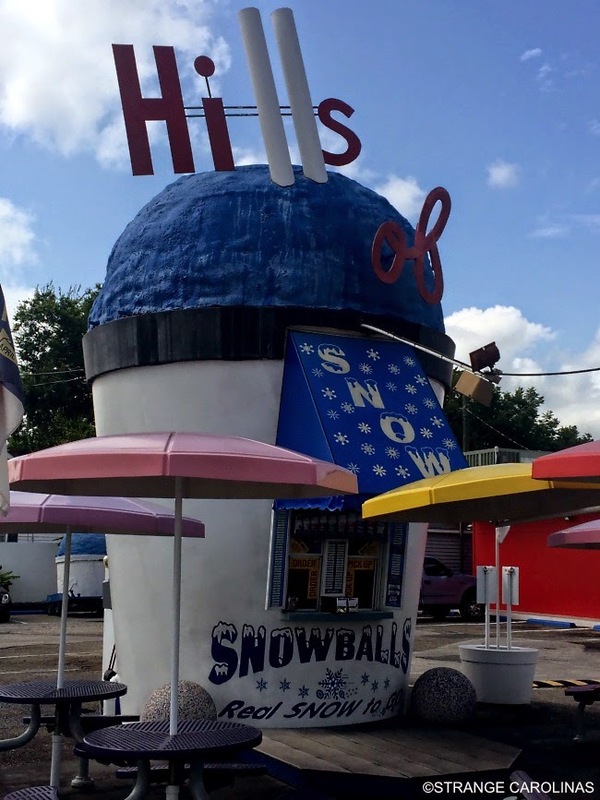 Hills Of Snow is a little roadside attraction in Smithfield where you can buy snowballs, which appear to be flavored shaved ice treats. We didn't actually stop and try one (the rain was on the way), but the building is pretty cool. Any time you have a building that looks like something other than a building, you're doing something right. I think this is actually a Slurpee for this guy here.